If you are not doing things in this order, YOU'RE DOING IT WRONG! Most business owners think that "just trying things" that make sense online will work out over time. We call that ACTIVITY MARKETING. Basically, throwing sh*t at the wall to see what sticks. Here at IGF, we look at what you have in place already, what is missing and create a high-level strategy for leveraging the internet to bring in leads and sales. We can determine budget, timeframe, resource options (teams, software etc.) and set your expectations from the beginning; no surprises along the way. After your strategy has been blueprinted, it's time to build the foundation of your internet marketing. Don't get stuck worrying about which technology or content to use. We know EXACTLY what is working and what isn't. Now that you have the perfect foundation built, you can do all those other things included in the ACTIVITY MARKETING category. 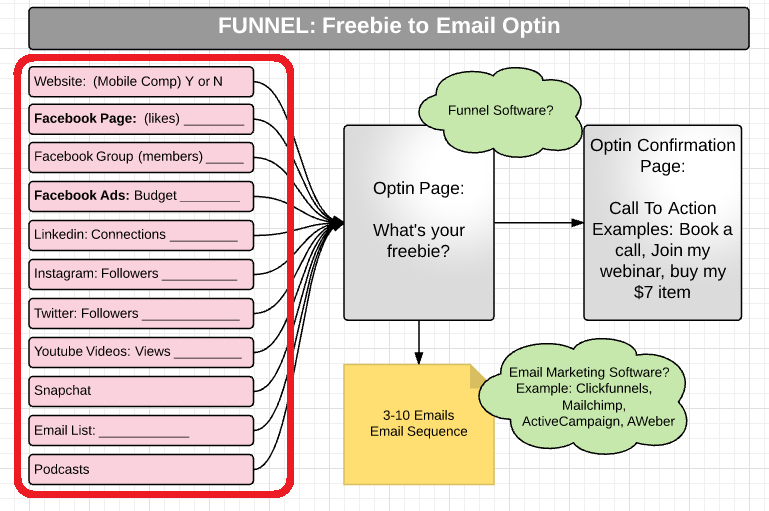 Go crazy sending tons of traffic to your new funnels! That's the way it SHOULD be done! After sending and attracting all kinds of traffic, it's time to analyze which sources are performing the best and converting the most. That's how you decide where to scale up and what to pull back. We will NOT work with any business owner that isn't SERIOUS about getting the right plan in place. ​If you want to work with a REAL agency and get REAL results over time, you need a blueprint to follow.